Contact Designers re-launched Rain Management Group’s company website. The website was re-created to ensure greater accessibility across devices, enhanced SEO and Social Media Integration while still reflecting Rain Management Group’s innovative approach to managing its talented clients in all areas of the entertainment industry. 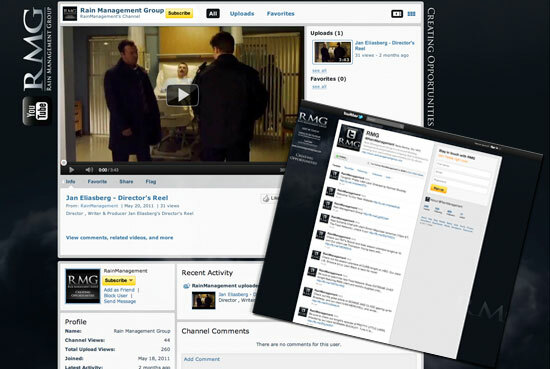 The corresponding YouTube, Twitter and Facebook pages were customized to share a cohesive, integrated look and feel. We continue to collaborate with Rain Management Group by partnering with them to create innovative, cutting edge online experiences tailored to reflect their individual clients’ web marketing needs and goals.